Our home is a large, spacious 4 bedroom home, with 3 bathrooms a fomal living and dining area and a casual living and dining area. We host 2 largequeen size bedrooms and another 2 average size bedrooms.We have 2 computers, access to broadband internet, 2 TV's one large plasma with surround sound! 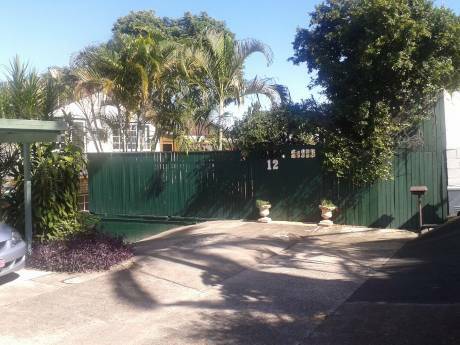 We have a large outside undercover entertaining area with a large yard which includes a beautiful swimming pool. 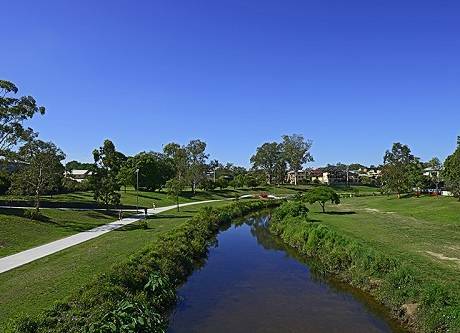 We are located 20 minutes from the city in the suburbs,close to the Brisbane River. We have lovely neighbours and lots of families living close by. We are also located close to public transport, small and large shopping complexes, cafes, restaurants and pubs.We have a car available for swap also. Brisbane is the capital of Queensland the sunshine state that hosts a warm sunny climate almost the entire year around. We are close to the world famous Gold Coast and Sunshine Coast and also national parks and lakes. We also host many of Australias theme parks including Seaworld, Dreamworld, Movieworld and Steve Irwins Australia Zoo.We are also in the state of the world famous Great Barrier Reef. Hello. We are a family of 5 who are interested in an experience of a lifetime. Adrian (38 years) a statistician working for a large goverment department in the city of Brisbane. Marnie (36 years) a part time speech pathologist and full time mother! We have 3 gorgeous well behaved girls Ebony (7 years), Lauren (5 years) and Stephanie 2 (years).